This girl is in love with fall! While some may feel a bit melancholy at the sight of days growing cooler and shorter, Ginger is growing exponentially more and more excited. She’s eagerly anticipating the next few months, which will be filled with apple picking, long walks in the sunflower fields, and Pumpkin Spice Lattes. Her hair is red, but her heart is made of gold. She has an open personality which allows her to connect with many different people and to be loved. She’s a wonderful friend and a great listener. You can always count on her when you need some advice or a helping hand. The sound of swirling wind and rain makes her dreamy, and she falls head over heels for the smell of freshly baked apple pie, especially when that comes hand-in-hand with a company of friends who eagerly join her for the snack. Ginger Poppet - that’s how she wants everybody to call her. 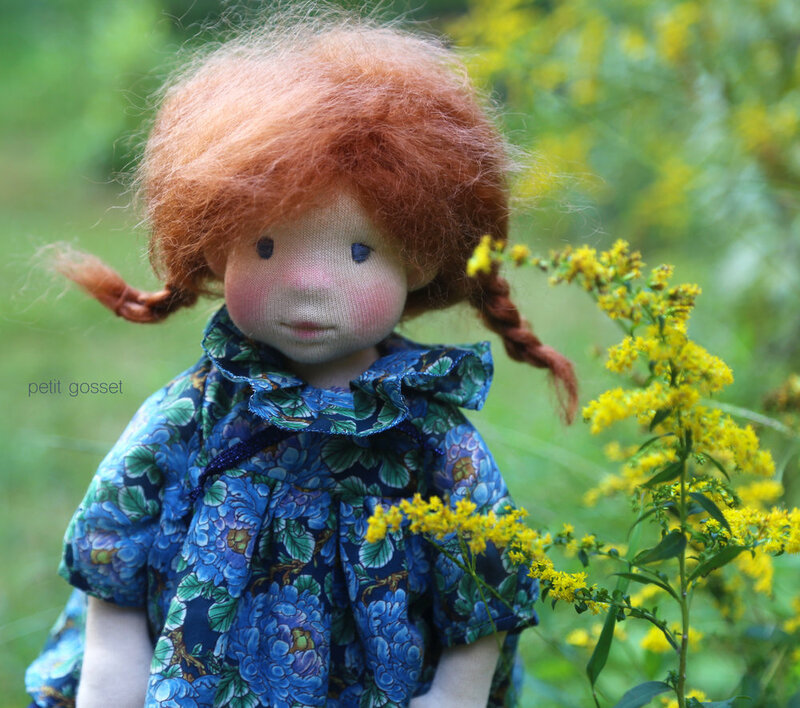 She is about 15” tall and has fair skin (Swiss skin fabric), blue eyes, and gorgeous red hair (made of silky angora goat weft and crocheted into a wig). She has a little belly, cute round bums, and knees. She loves getting cozy in her cashmere pants and silk dress (her dress is made with Liberty of London silk/cotton voile and silk georgette), wool socks, and hand crocheted wool shoes with leather soles and ties. 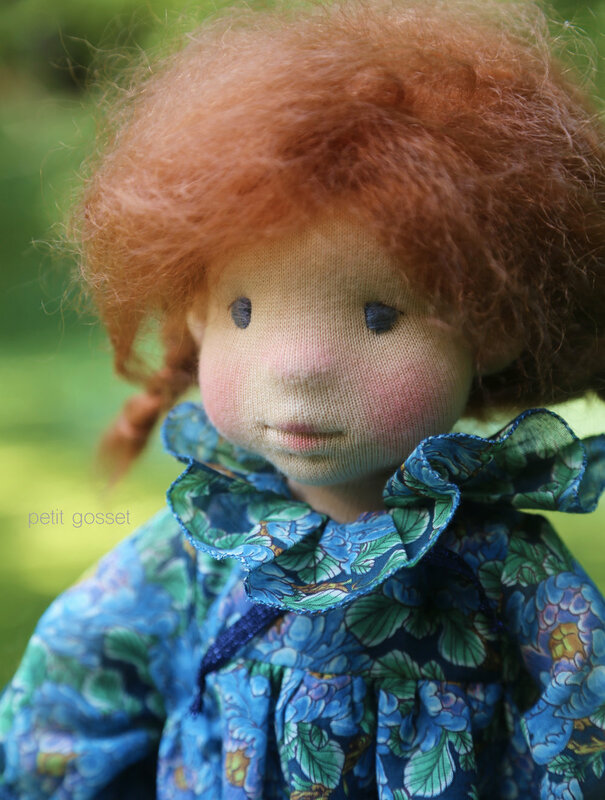 If you would like to welcome Ginger Poppet into your home, she can be found in my shop. Thank you so much for coming! Hope to see you tonight!